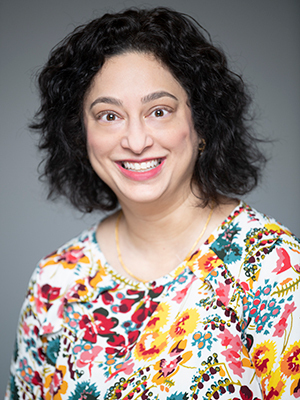 Sangeeta Dileep Sule, M.D., Ph.D., the new chief of rheumatology at Children’s National Health System, shares a similar vision and mission of all pediatric specialists: treat the whole child. Dr. Sule looks forward to supporting and expanding the Division of Rheumatology, while introducing clinics tailored for specific diseases – such as arthritis and lupus. Dr. Sule has focused her clinical expertise and research efforts on providing multidisciplinary resources to pediatric patients diagnosed with rheumatologic disease. From integrating nephrology appointments into lupus clinics and exercise prescriptions into juvenile arthritis treatments, Dr. Sule is passionate about fusing the latest research into routine practice. For example, kidney disease affects up to 80 percent of children with lupus so it’s important for rheumatologists to work with nephrologists to conduct blood screenings and early detections, while practicing aggressive interventions, such as monitoring a child every one to three months following a diagnosis. For arthritis, biological therapies are beneficial for treating targeted sections of the immune system where the disease manifests. Other therapies, such as exercise, can boost a child’s overall quality of life. Some patients may also need additional counseling to navigate weekly injections. Dr. Sule started her career as a pediatric rheumatologist by studying cellular and molecular biology at Tulane University. She attended medical school at Baylor College of Medicine and completed a doctorate in philosophy in clinical investigation from Johns Hopkins University School of Public Health. After completing a postdoctoral fellowship in rheumatology at Johns Hopkins University School of Medicine, Dr. Sule taught courses in pediatrics and internal medicine while practicing in the field. 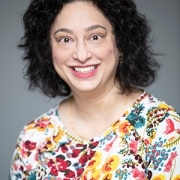 Dr. Sule merged her research and clinical interests to support specialty clinics as the director of the Pediatric Lupus Center and of the Pediatric Arthritis Center within the Division of Pediatric Rheumatology at Johns Hopkins University School of Medicine. She has published more than 24 peer-reviewed studies, and is certified by the American Board of Internal Medicine, with a sub-board certification of Rheumatology, and by the American Board of Pediatrics.